I’m often asked which credit card is best. It’s like asking “Tiger or Jack, Jordan or Lebron, Mickey or Goofy?” How much time do you have? The single card that almost always ends up a finalist for small business owners is the Chase Ink Business Preferred. In fact, I’d say it’s the most popular card I’ve recommended to friends and family. 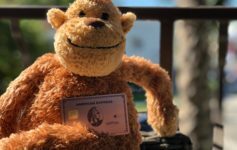 I thought I’d give you the 3 reasons why it’s an absolute no brainer to have in your wallet. An incredible 80k Welcome Offer after $5k spend. Of all the cards that earn Chase Ultimate Rewards, this card offers the highest public welcome bonus, bar. none. Spend $5k in the first 3 months of account opening and you’ll get a whopping 80k bonus points. What can you do with 85k Ultimate Rewards? SO MUCH. How? Transferring them into partners for aspirational redemptions. A great way to fly up to see the northern lights would be in and out of Stockholm. 70k points transferred to United will put you comfortably in SAS business class from the US to Europe. Earn 3x points on all travel and many business expenses up to $150k a year. That takes a lot of thinking out of the equation. Free Cell-phone Insurance. Saves me $10 a month easily. This has been blogged about a lot, but it’s just such a great benefit. Get $600 of free cell-phone insurance with a $100 deductible as long as you pay your cell-phone bill with your Ink Business Preferred. You don’t even need to have purchased the phone with your Ink Business Preferred. 3 claims per 12 months. These are the 3 benefits that I usually point to when explaining why I’m using the card, or recommending it to the people I want the best for in my life. On top of these benefits, you’ll also be able to convert Cash back earned from the Chase Freedom, Freedom Unlimited, Ink Cash, or Ink Business Unlimited into Ultimate Rewards. If this strategy is interesting to you…check out our post on the Chase Quadfecta that explains how you can optimize the points you earn on your day to day spend.